Just amazing ball point pen from the onboard gift shop for the Lizzy. A little likeness of Cunard’s flagship majestically floats in a liquid suspension while Gold letter on the case spell out RMS Queen Elizabeth. 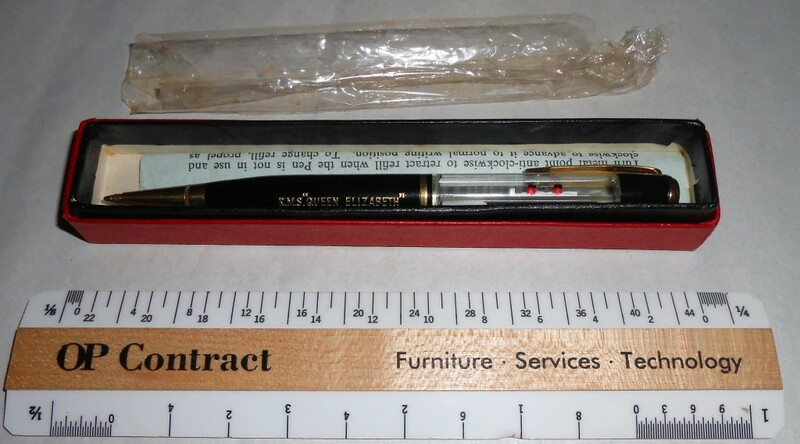 The pen is still wrapped in cellophane and housed in its original box. Even includes instructions!